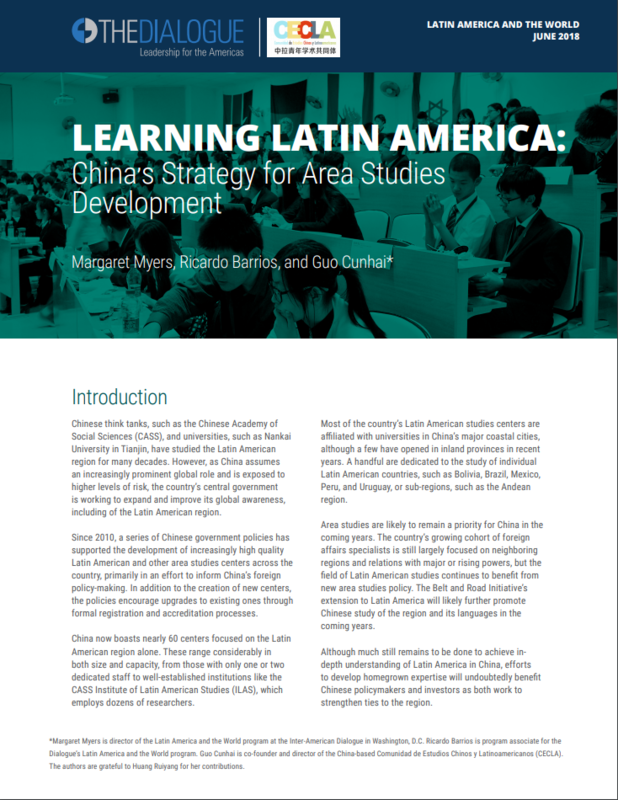 The Chinese Academy of Social Sciences (CASS) Institute for Latin American Studies (ILAS) is asking Chinese ‘netizens‘ to participate in a poll identifying the top ten events in Latin America in 2012. Participants choose ten of twenty possible events. Those who choose the exact same top ten events as a panel of CASS Latin America experts will receive a prize. According to the site, voting ends on January 20, 2013. Chinese speakers (or those with access to translation sites) can cast their vote HERE. Premier Wen’s visit seems an especially safe bet. As does at least one of the territorial disputes. Check back toward the end of January for analysis of the official CASS selections. See previous posts for commentary on ‘top ten’ lists from 2010 and 2011. If you would like to cast your vote in English, you may do so HERE. We’ll compile these results and post them toward the end of the month.